Product code: 979 Categories: Sold Items, Sold Pocket watches. 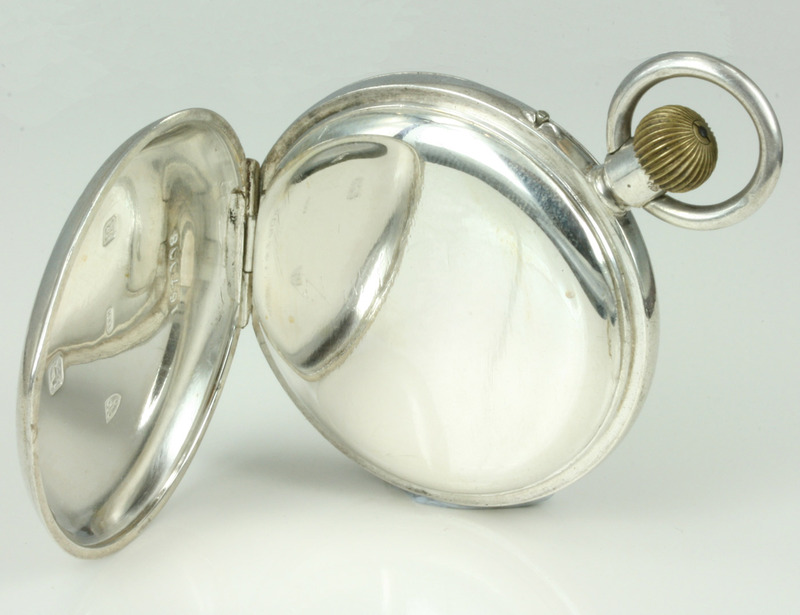 This is a classic full size gents pocket watch in sterling silver. 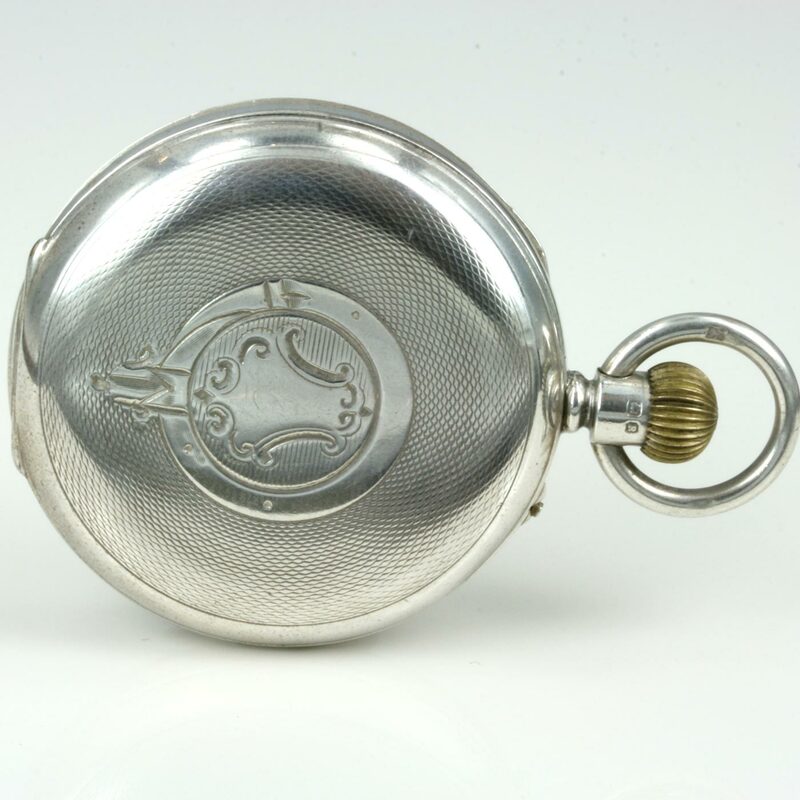 The fully hallmarked engine turned case is in great condition and has never been engraved, with the hinges still in perfect condition. The crown wind pin set English movement has been fully serviced and runs perfectly. 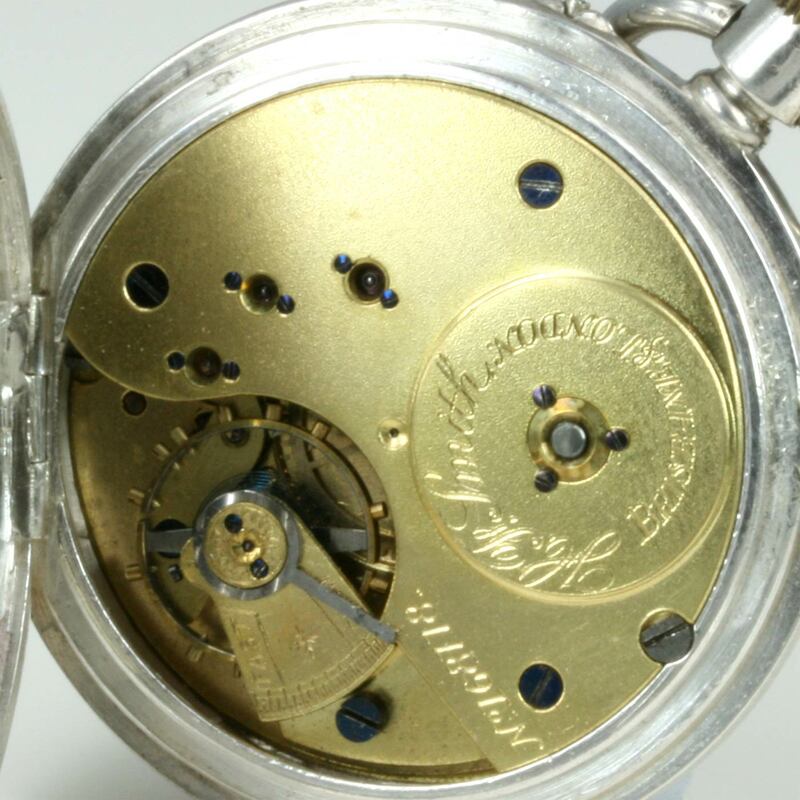 This is a great solid antique pocket watch from 1900 that would make a great gift. for anyone.